The Nevins Library GLBT group is open to any adult (18+) who is interested in reading quality fiction, non-fiction and biography on GLBT topics and themes or by gay/lesbian authors. Book discussions are held at the Library on Thursday evenings 7-8pm. Books are available one month prior to the discussion. You may pick up books at the previous meeting, or you may get them at the Main Desk anytime the Library is open. Please bring your library card to the meeting to check books out. In the case of cancellation for bad weather or any other reason, the meeting will be held on the following Thursday evening. Cancellation information is posted on the Library’s voice mail, and announced on WCCM-Radio. Additional Book Discussion information is available on our web site at www.nevinslibrary.org . All books announced in advance are tentative, based on availability of multiple copies. To confirm dates, book selections, or for more information call the Library at 978-686-4080 ext. 10. Martina Navratilova is currently considered a "single author." If one or more works are by a distinct, homonymous authors, go ahead and split the author. 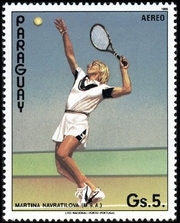 Martina Navratilova is composed of 3 names. You can examine and separate out names.